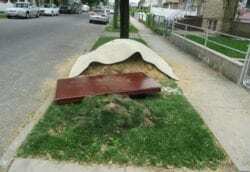 The homeowner of a single family home in Laurelton had reported a sewer backup for the previous 9 months. Their sewer cleaner had been keeping the sewer flowing by snaking the pipe every time it backed up. 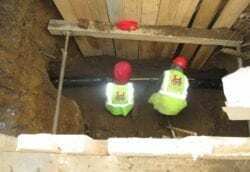 This last time the sewer cleaner could no longer clear the sewer pipe, he had reached a point 44′ out from the trap that was completely blocked and had been diagnosed as broken. 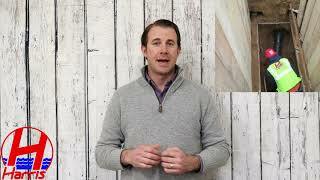 After receiving two options for the sewer repair the homeowner wanted to weigh the pros and cons. 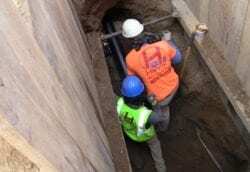 The first option to repair the pipe at 44′ was more cost effective. 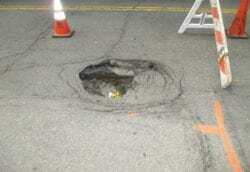 The risk was experiencing another sewer break on another section of the old clay pipe down the road. 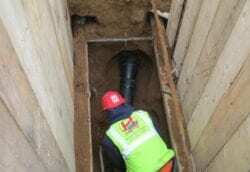 The second option was to replace the entire sewer line in full from the house, out to the street. 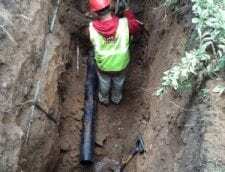 The cost of doing so was almost double the price however, the idea of not having to think about another sewer line repair or backup was worth it for this homeowner. The sewer line was being dug up less than one week later after we received all of the required DEP permits for scheduling an inspection. 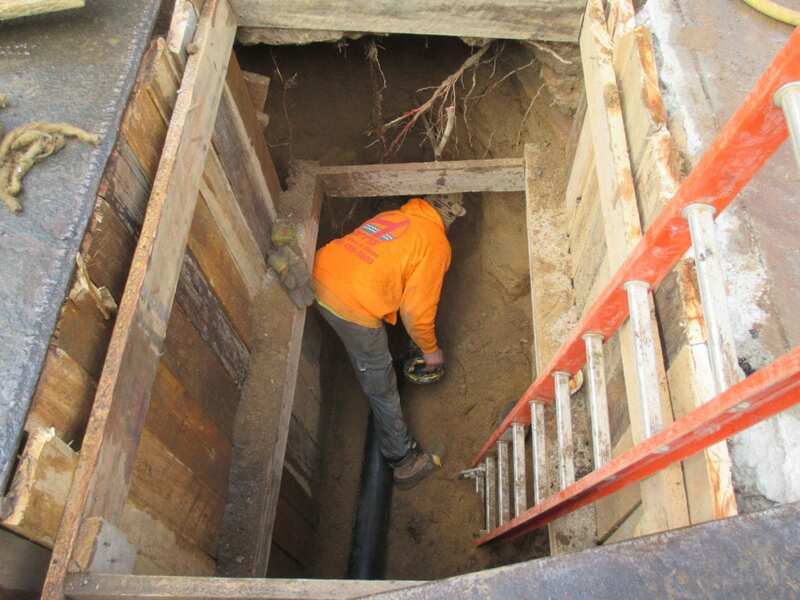 Once we reached the depth of the existing sewer line (11′) the crew began removing some of the surrounding soil for the new 6″ cast iron sewer line to be installed. Once a few sections of new cast iron were installed the remaining area for the final piece of cast iron was measured and cut to size. 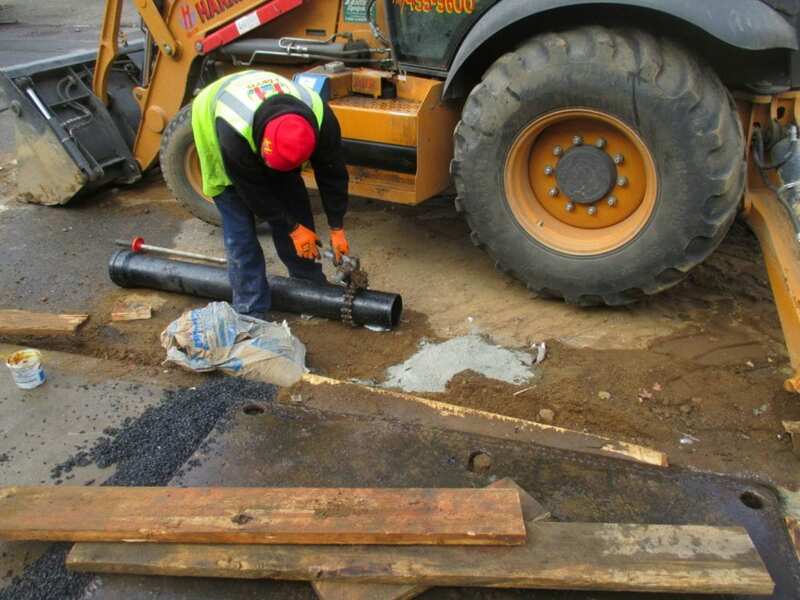 Next the cast iron is was installed from the new piping to the existing clay sewer line leading out to the street which would be replaced the next day. The DEP inspection was completed at 2:30PM and the area was back filled for the second day of work which would take place in the roadway. 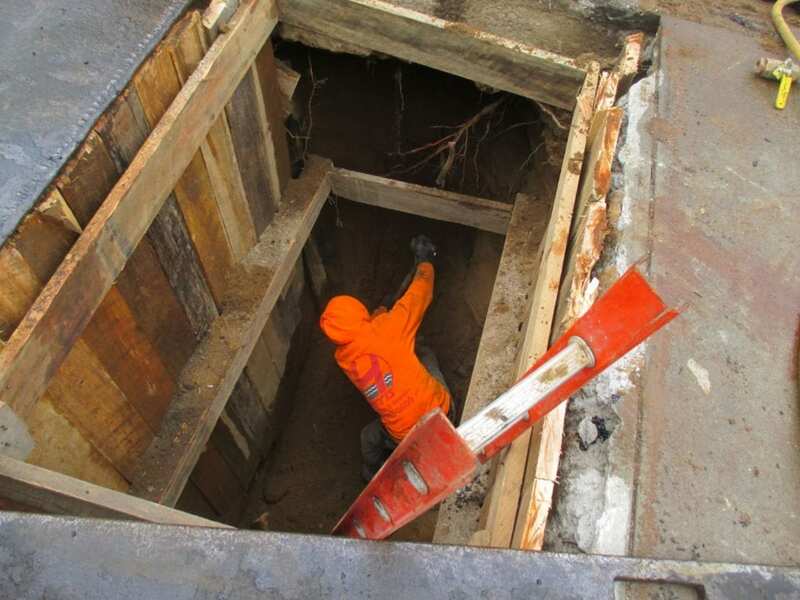 The portion of work to take place in the roadway was the same process as on the property. 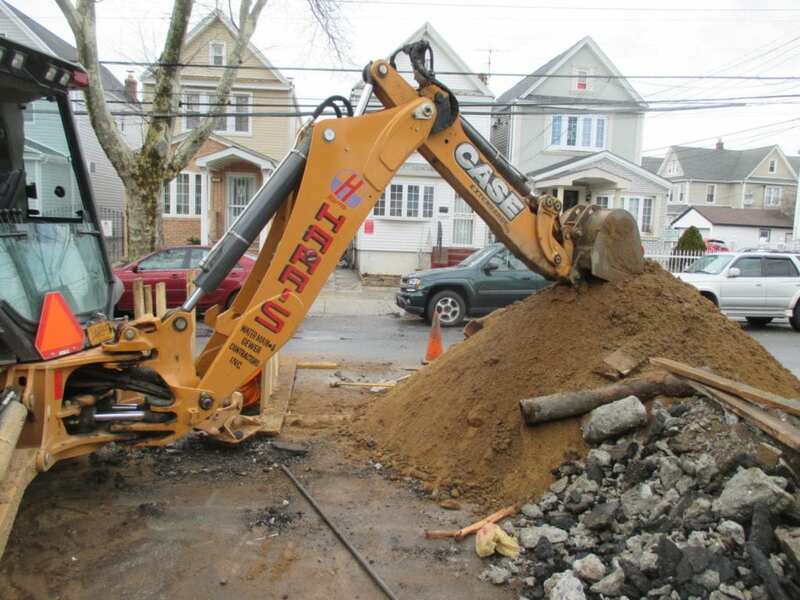 The sewer line installation was completed and inspected the very next day leaving another Queens homeowner relieved of any future sewer backups to come.